We’ve had one great success and one great failure. Well, not really a failure–it was an experiment. There’s no way to know for sure how long to proof your sourdough until you jump in and give it a go. So, we did that, and I apparently over-proofed (gave it too long–14 hours, probably 10-12 would be better) and it was a flat brickish loaf. 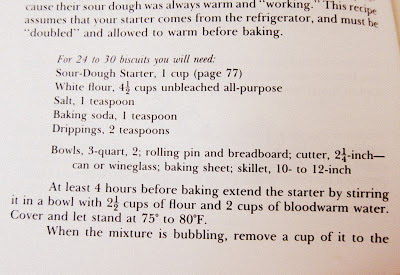 It tasted great when we first took it out of the oven, but it became harder and harder to eat–some compared it to hard tack. 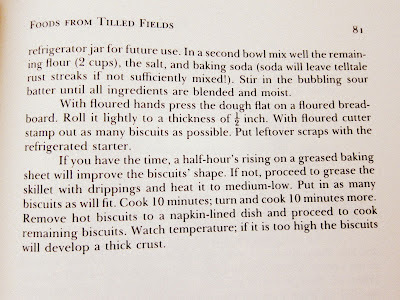 The one success, however, was following the Biscuit Recipe from the Little House Cookbook. Turns out cooking your biscuits in coconut oil on a cast iron skillet is DEFINITELY the way to go. Absolutely. 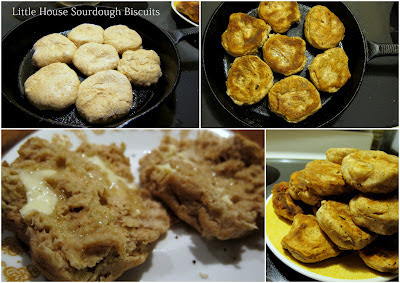 Baking biscuits will likely not happen again in this house, they were perfect this way, perfect. I love the thought of the leaven being all around us and cleaning it out occasionally. I'm also happy to share some starter if you want some. Speaking of which, we let our play date fall through the cracks. If there's a day next week that works for you, let me know. The only thing I have is on Friday. Yes! Life is insane right now, but I could use the calm of a play date! So, would Tuesday work for you?